4 tips from a licensed professional counselor. David Kaplan, David Kaplan, PhD is a past president of the American Counseling Association and its current Chief Professional Officer. With more than 91 opioid related deaths occurring daily, and more than 33,000 occurring annually, the U.S. is in the throes of one of the worst drug epidemics in history. Recent statistics provided by the U.S. Center for Disease Control (CDC) indicate that there is little hope of an impending downturn. The numbers reveal that a staggering 2.6 million Americans regularly abuse opioids such as oxycodone, hydrocodone, and heroin. Remember, it is the drug that’s the problem, not the person. Avoid rushing to judgment and practice positive enabling—doing things that encourage change. Acknowledge and reinforce positive efforts such as getting to a doctor’s appointment on time or coming home for dinner rather than going out for a drink after work. This shows your friend or loved one that you care about his or her well-being, and encourages additional healthy behaviors. Over time, the positive behavior becomes routine and can help an addict replace the negative behavior. It is a slow process, but with consistency, can be done. It is important for addicts to hear how their opioid abuse is impacting you. Keep it factual. Regularly point out specific examples of how your daily life has been affected. The goal is to break through denial and encourage treatment by making the addict aware of the consequences of his or her actions. In the event that an opioid abuser refuses to seek professional treatment, there are still options. Invite the individual’s close family members and friends to an intervention led by a mental health professional. This forces the addict to face the consequences of their addiction and the pain they are causing loved ones. The goal of an intervention is not to cause emotional stress or harm, but to cut through resistance so that the addict is willing to go directly from the intervention to a treatment center. You can find a counselor to lead the intervention through American Counseling Association’s professional directory. Friends and family are meant to help one another during difficult times, but behaviors that enable an addict to continue using opioids—called negative enabling—should be avoided. As hard as it may be, don’t put an opioid abuser to bed or clean up after them if they get sick. Don’t call their place of employment and make excuses for them if they can’t go to work. And don’t bail them out of jail if they are arrested for impaired driving or pay legal fees. This type of enabling makes an addiction easier to maintain, as the user experiences little discomfort or consequence. As a result, the addict may have little to no reason to change. It is important that individuals living with or providing emotional support to those struggling with opioid abuse remember that negative enabling only further fuels addictive behavior. Saying “no” or refraining from negative enabling is not a sign of weakness or cruelty. It forces abusers to face the consequences of their addiction and encourages them to seek professional help. There are social stigmas associated with opioid abuse, which means that it is easy to feel too ashamed to seek help, even for those who are trying to help the abuser. A great place to start is Nar-Anon. Information about anonymous support meetings for friends and family, treatment programs, and counselors who are available to provide immediate assistance is available on the Nar-Anon website. Opioid abusers also need support. As a professional counselor, I know that the most effective option is to place an addict in a treatment program that provides a comprehensive approach to help the addict to stop using. 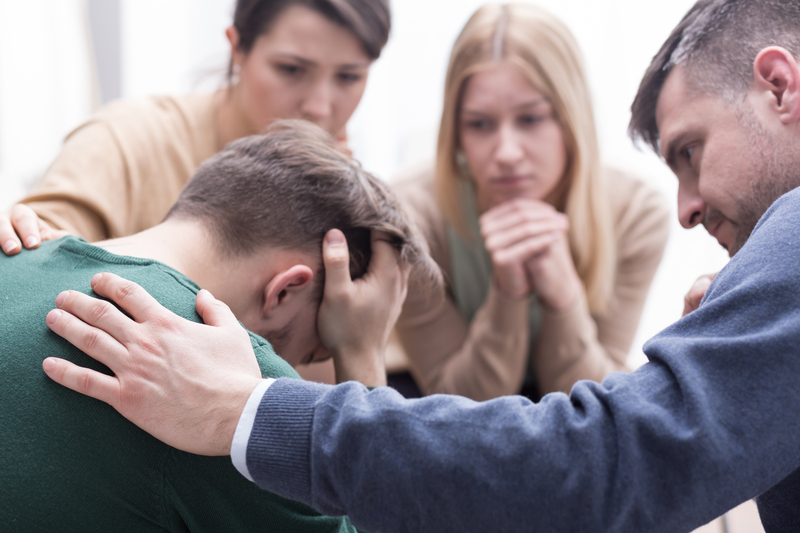 The U.S. Substance Abuse and Mental Health Services Administration (SAMHSA) maintains a directory of national opioid treatment programs that serve as a great resource for addicts and their loved ones. Finally, you need to know that opioid abuse can lead to life-threatening situations. In the event of an emergency, it is critical that friends and family seek medical help. If a friend or loved one suffering from opioid addiction exudes unresponsive sleepiness, blue or purple fingernails or lips, difficulty breathing, a slow heart rate, excessive sweating, or tiny pupils, call 911 immediately. Their life may depend upon it.